Crumbling Paper: Say Pop! Pop makes a good traffic cop. Here’s a hilarious example I scanned of Say Pop! aka Nippy’s Pop aka S’Matter Pop from 1918 by C.M. Payne. 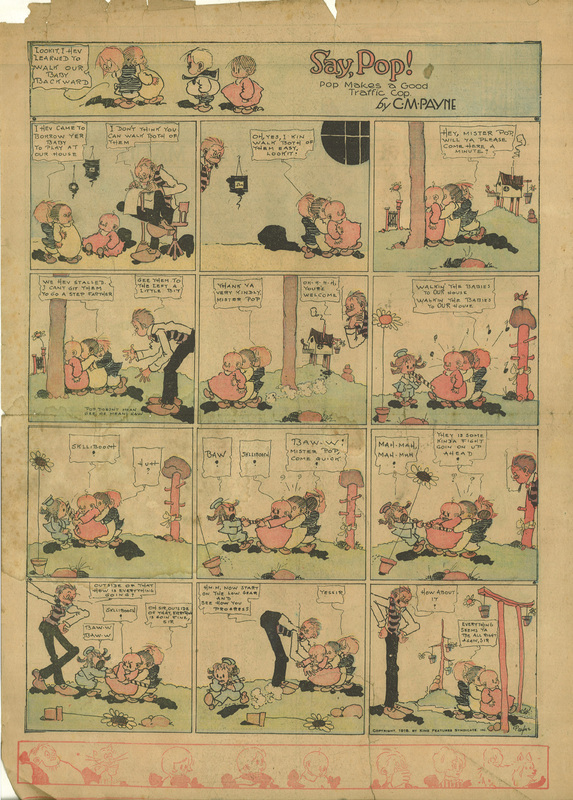 I’m under the impression that this was a pretty popular strip in its day, so I’m somewhat surprised how little information on it there seems to be on the web. Note that some of Payne’s work was reprinted in Dan Nadel’s recent excellent compendium of obscure and forgotten cartoonists, Art Out of Time. Click here to read about C.M. Payne at lambiek.net.